Sippican Cottage: I Never Learn. Again. If a bee or wasp stings me, I'll die almost immediately. I don't care about that. My neighbor, who likes cutting things down on a good day, counseled, unwonted, that I should razor all the shrubs down to the ground outside my door, so as not to attract such insects, just as he had done. They'll come right in the house when you open the door, he said. I told him I was unaware that he was also allergic to the venom of stinging insects; it seems like such rarified air I breathe. He said he was not. Some fears are worse than the perils they stem from. I decided not to pay much attention to it, and get on with my life. I am not reckless about it; I no longer cut down trees until the frosts have come, and other gentle nods to reality. But it does not define me. That would be worse than death. Many persons find it odd and disquieting to see me ambivalent about this danger. They spot any flying insect and want to evacuate me like some gradeschooler during the blitz. There is an odd possibility that I'm about as cautious about being stung as I was before it became a lethal happenstance. It still hurt back then, after all; I'm not impervious to the logic of avoiding pain. Six Flags Over Marion, we call the jumble of plastic and wood and sand and accoutrement we've assembled in a corner of the yard for the tot to play in. He contents himself merrily on the little slide and the ladder, and buries his troubles and his army men in the sandbox it leads into. My wife can see him from the house there, and he can play there alone or with his big brother. But it is on the edge of the wood, and the woods are not an urban abstraction here. We see things come out of those woods from time to time, and some are not suitable for children to encounter. And so we do watch. Who does not watch over their children? I don't know them. My wife was stung by a wasp or bee while sitting with the small child in the yard. She wept and was confused a bit; unsure where it came from. It left a formidable welt on her arm which is still clearly visible some two weeks later. I am an old hand at these sorts of things and put a paste of baking soda on the welt, and then some ice. We forgot all about it, except the itching. A few days later, the small one was discomfited in some way. He seemed confused and hurt, though he did not cry. He is stoic that one, and rarely speaks anyway. We looked him all over and found a welt on his leg. We couldn't tell what it was. Horsefly? Bee? Hornet? He sat quietly while we applied a poultice and he seemed hurt in multiple ways. I think it was the first time that the yard had ever betrayed him. We forgot about it. Should I have forgotten about it? Does inuring yourself to some little creeping dread to the point of ambivalence taint your judgement? Is it worse or better than you treat it? I don't know. We were in the yard yesterday, and the little one came running and wailing from Six Flags Over Marion. I've heard genius is a kind of intuition. Lots of people know lots of things, but they never assemble them into the whole required to see around the corner. It is said that people like Mozart look at a piano, and it makes perfect sense to them right away. We all have moments of clarity I suppose, we regular people. You know many things, some barely impressions, and they coalesce occasionally into hard, fast, ideas. And I saw that child and saw what I should have seen before it happened this last time. There was a frame for the picture, and everything in it. His little ear was the size of a saucer. Stoicism only gets you so far when you're barely three, and he wept the tears of the disappointed and hurt. And I tended to him as I had been taught, imperfectly, by my ancestors. Draw it out with baking soda and bleach, and then the ice. Sit still and be calm. He sat and watched Clifford with his mother. And then I went outside and I tore that plaything apart and found those wretched things I knew were there and poisoned them and crushed them and crushed their lairs like an archangel and a devil combined, and afraid only that I would not get a chance to kill every one. You are a good man. I know exactly how you felt. I had a cute decorator 'shabby chic' faux lighthouse birdhouse that sat on a little table on the deck outside. The year the wasps called it home, my grandson stuck his little hand inside, as 3-year-olds with curious minds do. The rage I felt demolished both my lighthouse and part of the table it sat on. ps--use meat tenderizer mixed with a little water to make a paste. Takes the sting right out. And get some of that wasp stuff that kills them instantly from 10 feet away. It's great--and you get that 'in your face' feeling of revenge, too. Some folks who are allergic to insect stings can get emergency shots of antidote to keep near them as a precaution. I think these have to be prescribed (you are now an expert at this process, I believe). You can also take a treatment designed to reduce your sensitivity. My dad did both. I'm not a doctor, but I'd like to keep reading this blog (and even buy some of your furniture...I'm only up in Wrentham). I advise you to discuss this with that lady you owe so much to. Unsolicited free advice, I realize. Please excuse me. 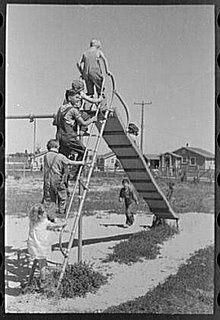 In my youth we once had a nest inside the top pipe of the swing set. Dad took care of that one, but we had so many stings we declared war on the beasts and would wipe out any next we happened to find. Hi Harry- Thanks. Yes, I have the epinephrine sticks I'm supposed to jam in my leg. But I imagine I could find my sixth grade report card faster than those, in a pinch. Hey, they sell my furniture right down the street from you in Wrentham at the Wrentham Antiques Marketplace. Nice people there. Please excuse more free unsolicited nannying--get out those epi pens and keep them near. A guy from my hometown, within two years of me in high school, just died at age 34, in a ballpark--and though by now they must've done the autopsy, at the time they had no idea why, except for a rumor that he didn't have his epi pen on him and his wife went to get it and returned to find him already dead. Not that I am in any way trying to detract from your heroism. Live heroes are a happier story than dead ones, is all. anwyn- Thanks for reading and commenting. I am a very poor writer indeed if you got the idea I was being any kind of hero. I was very angry at myself, twice now, for letting my little son get hurt like that. And very, very angry at the wasps. The rest of the time I'm just sorta being lazy and irresponsible. Your furniture is gorgeous, by the way. When I have some money again, or maybe at some future time when I live in New England, or maybe both, I will look forward to bringing some home. Some one give Anwyn some money so I'll have some.